Open at 10AM on Holidays until regular closing. Open 8AM until 3PM on Christmas Eve. Open 8AM until NOON on Thanksgiving Day. Open at 8AM on New Year's Day. 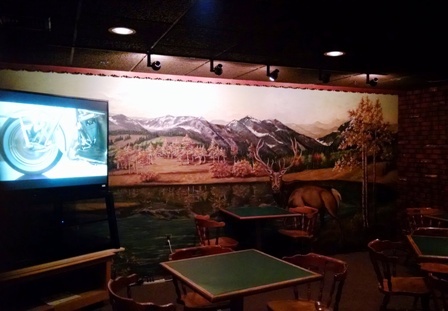 Rochester Lodge has an area for Electronic Dart Machines and has a Sunday night Dart League. If you need more info on the Dart League contact Tom Ducharme, PER at 1-603-332-9700. 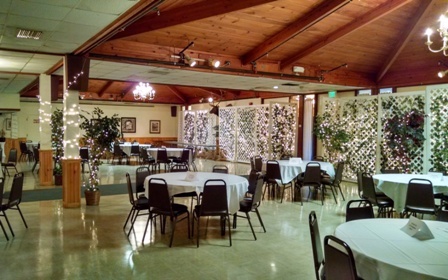 This room is also used for overflow seating at some of our events when needed or for Friday Night Supper seating as well. Visit our beautiful Non-Smoking Bar/Lounge Area with Three TV's - We have a Wide Screen Unit, which has spectacular clarity and sharpness. This is a very comfortable area of the Lodge. 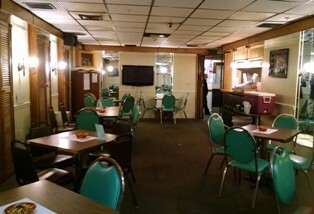 We have recently constructed a new bar and bar top. Come in and have a look and enjoy the smoke free atmosphere. An outdoor smoking area is available for members and guests who wish to smoke. Picture caption - Hand Painted Wall Mural in our Member's Lounge. 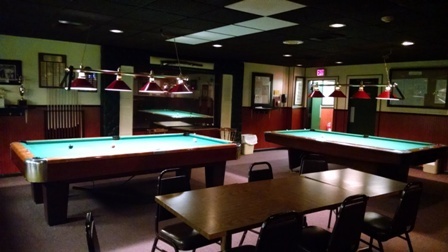 Rochester Lodge has two regulation pool tables for your enjoyment and use. Two Pool Tournament Leagues are conducted for the members every year. Tournament games are normally played on Tuesday evenings. There are banquets at the end of each League period for the members of the tourney. This area is used for clambakes and various outdoor functions during the warmer months of the year. RV Parking is available at the Lodge. No services are available, but we can accomodate RV's in our Parking Areas, which are very adequate for overnight use. "Elks on the Move" are always welcome. Call us at 1-603-332-9700. Choose Option 1 and ask for the Home Manager. 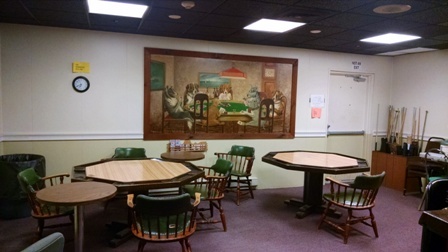 Rochester Lodge #1393 has a cardroom available for its members. Two tables are available. 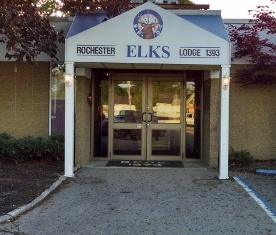 Rochester Lodge #1393 has a Conference Room available for members and Officers use. 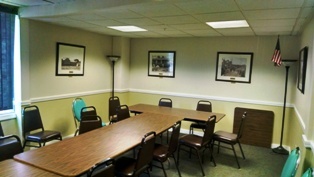 Many committees and Lodge Officers use this area for various meetings and discussions. State of the Art kitchen has been extensively renovated. Capable of handling any meal service situation. 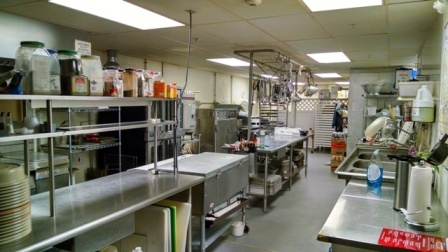 Equipment upgrades and additions have been performed in virtually every area. 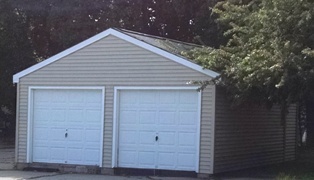 Rochester Elks Lodge has a free standing garage on its property for equipment storage. It is located next to the main Lodge facility.